Title and land deeds survive in abundance. They are often large sheets of particularly sturdy parchment that have escaped the ravages of time that destroy a lot of other early paper counterparts and ephemera. They are also quite attractive, filled with meticulous calligraphy and generally remain a very neglected area of collecting. I am often offered vellum deeds or asked how much they are worth. Surprisingly, most have very little monetary value in the market unless they are signed by important people, are particularly early, or can shed some light on an interesting household. Still, any old deed should be properly evaluated as some can fetch substantial sums. For example, a deed to Mohawk land at Schenectady, New York to Johannis Vedder, signed by 3 Mohawks with their totem signatures, recently got $18,000 at a rare book auction. 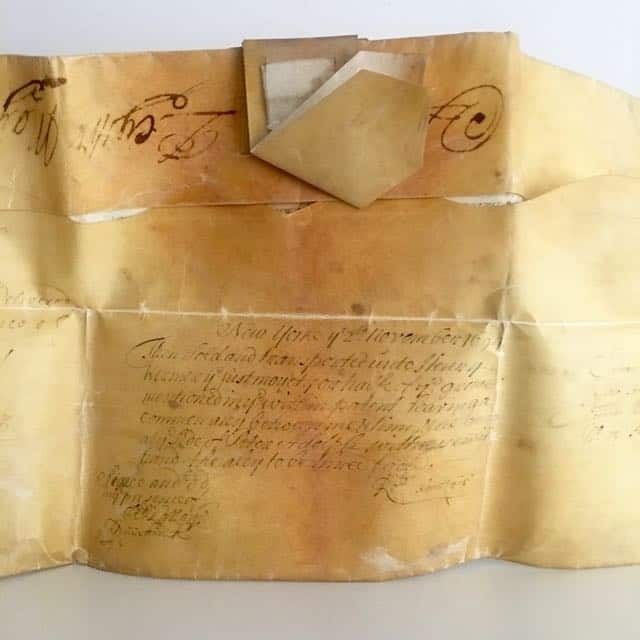 This recently purchased 1694 New York deed is not in the high value category of Indian deeds, but it is of scholarly interest. It conveys a water lot of Peter Sinclair, a mariner on the south side of Pearl Street. Wait, but Pearl Street does not touch the water? Well, it once did. In fact, it was the original eastern shoreline of the lower part of Manhattan Island, until the latter half of the 18th century when landfill over the course of several hundred years has extended the shoreline roughly 700–900 feet further into the East River, first to Water Street and later to Front Street. I have had numerous enquiries over the years to evaluate and appraise old manuscripts. 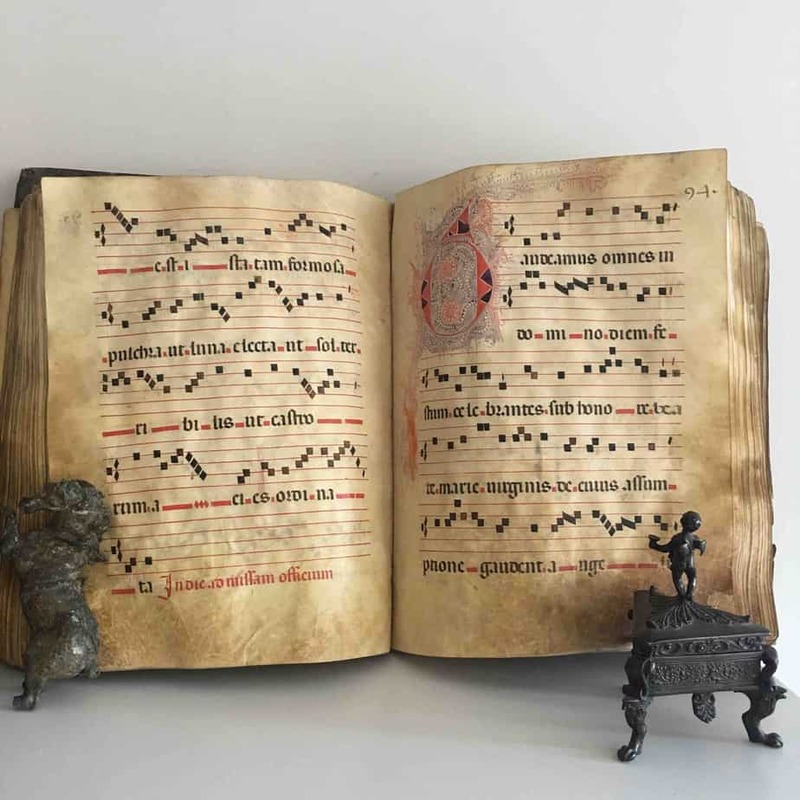 Certainly, I come across my fair share of antiphonals, graduals and choir books that once graced innumerable churches in Spain, Italy and Europe. Given their large size, the incredibly resilient vellum upon which they were written, and perhaps the respect (not always) accorded to obviously religious books, a lot have survived. The value of such a manuscript is quite complicated and here I cannot of course go into all the particulars regarding the age, style of decoration, illuminations etc. that factor into their value. As an illustration, below is a recent one that passed through my hands- a rather elegant late 15th to 16th century Spanish antiphonal. It was almost complete with a large number pages (234 in total), albeit at some point, as is often the case, the finest pages were likely removed as specimens of the illuminated art. Still, many very attractive pen-work initials survived in Mudejar style that reflect the artwork of the individual Moors or Muslims of Al-Andalus who remained in Iberia after the Christian Reconquista. One thing that I do not do is appraise these manuscripts as the value of an average individual page multiplied by the number of pages. These are what I consider “book breaker” calculations and it is not something that I even consider. Many beautiful books have been broken over the years for their plates as well as fine atlases dismembered for their individual framable maps. Thankfully, given the economics of the trade, this has become less of an issue as complete preserved copies are often worth more as a whole than the some of their parts. However, I do find the practice continues with antiphonal and liturgical manuscripts and the economics of selling individual pages at modest prices still favors tearing such books apart. I will write here a bit of bibliophilic heresy (I know brace yourself!) because while I do not condone the practice of breaking these manuscripts or evaluate them on that basis, I do not condemn it either. Many of these manuscripts are incomplete, and single examples (given the large surviving numbers) generally do not have singular importance in terms of what they add to our cultural or historical understanding of the period. Also, in times past, dealers like Otto Ege, who made a controversial practice of dismantling medieval manuscripts and selling the pages individually, also served the interest of scholarship in having some examples (even fragments) dispersed to many universities and a wider audience of students. Therefore, I cannot say today, given the seemingly widespread lack of interest in objects of culture in general, that something is not gained by having individual vellum leaves from such manuscripts grace ordinary living room walls. As a rare book dealer, I get calls on a weekly basis to provide valuations of first editions. These requests usually involves some household names of authors of the 20th century from Faulkner to Hemingway and Steinbeck to Fitzgerald. One of the first questions that comes up is “does the book have the dust jacket?” This often leads to great disappointment as it is difficult for someone not familiar with the antiquarian and rare book market to fully appreciate the value of a dust jacket on a literary first edition. Once can see a copy of a particular first edition online for $20,000 and it can be incomprehensible how merely missing a piece of paper wrapper can reduce its value to a few hundred. I won’t get involved in this brief post as to why dust jackets are so valuable. Suffice it to say, they can both be extremely rare given their ephemeral nature and beautiful as icons of graphic art. 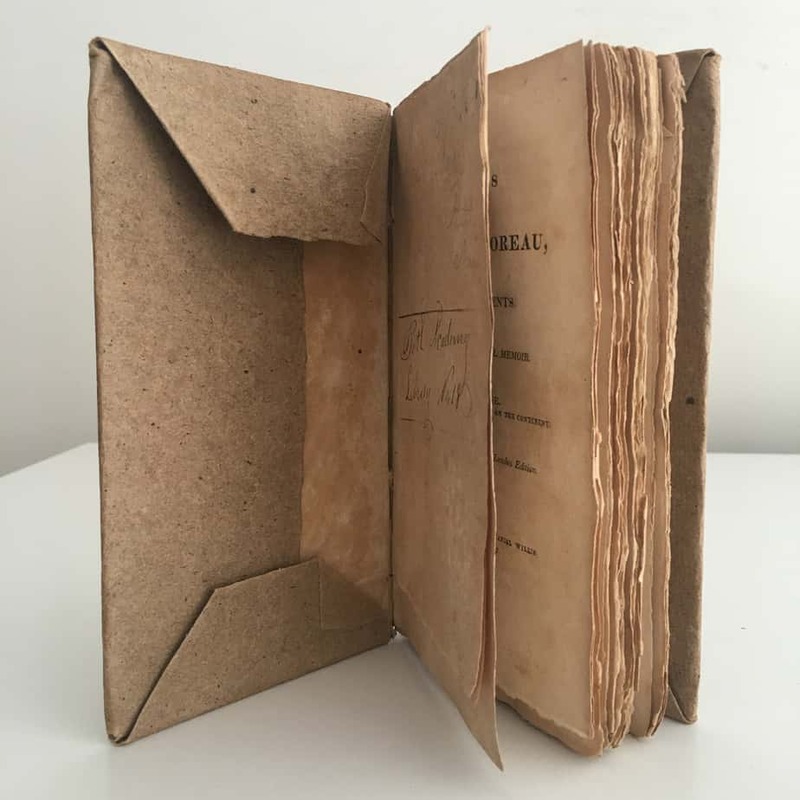 Here, I would rather focus on an early type of “dust jacket.” The earliest-known book dust wrapper dates from 1829 and was intended to protect a finely-bound gift book entitled Friendship’s Offering. 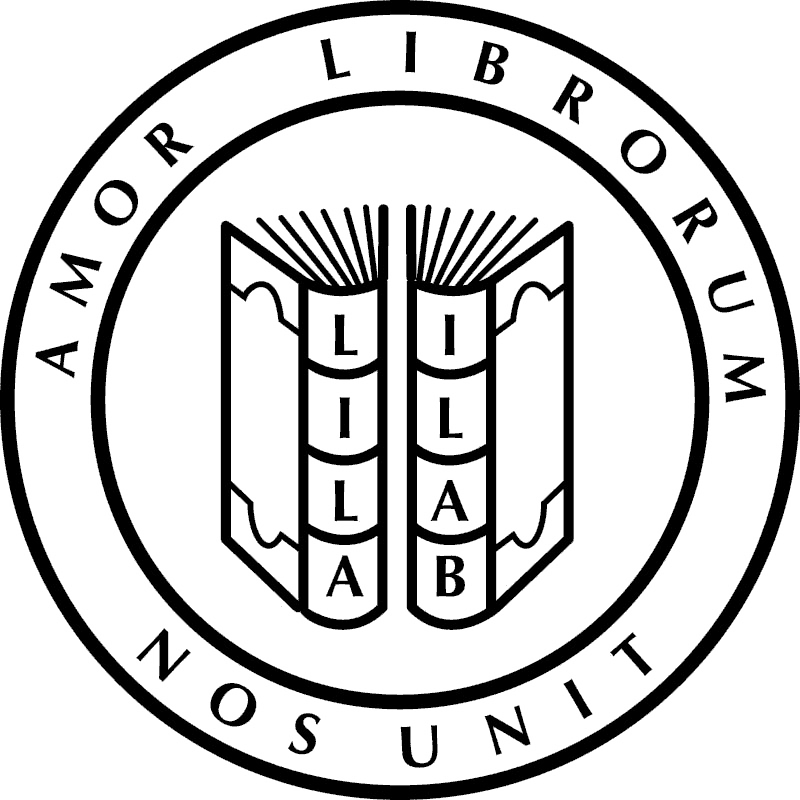 You can read about that Bodleian treasure here. The dust jacket was therefore born as a simple protective wrapper and only later evolved into works of art and tools of marketing. Oftentimes, the earliest jackets were used to protect expensive volumes bound in fine materials such as leather or silk. The book below is not one of those finely bound volumes but a rather inexpensively produced and issued American imprint. Specifically, it is a 1814 Boston edition (a first American edition) of “Some Details concerning General Moreau”, the French general who helped Napoleon to power, but later as a rival was banished to the United States and whose abode near Trenton eventually became the refuge of many political exiles. Nevertheless, despite this rich history and actually being a scarce imprint in commerce, the book itself is not particularly valuable if one takes values in the auction databases as a gauge. In fact, I bought it in a lot myself at the very modest price of $20 from an antique dealer at the fun DCFlea. One can notice in the photo a sort of dust jacket on the book that is almost contemporary with the date of publication. That does not make it the earliest such jacket as I would have to make the reasonable assumption that this was not a wrapper issued by the publisher but rather placed on for protection slightly later by a reference library in Bath Maine of the American Colonization Society. The book is inscribed by Jonathan Hyde who was one of the society’s earliest members. Most interestingly, the American Colonization Society promoted the relocation of free blacks to West Africa and transported 12,000 blacks to Liberia. So, in keeping with the theme of this blog, I do try to place a monetary value on the work and give some indication of how I arrived at a figure. Despite it being a relatively early American imprint of French history, it probably would not have a market value of anything more then $100 or so. 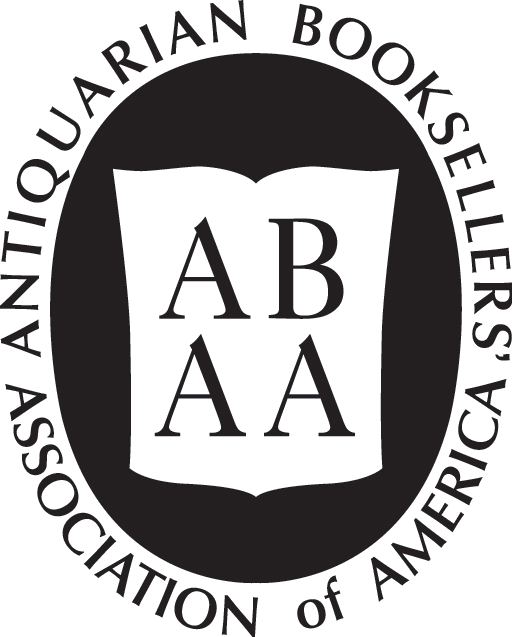 Still, with the added value of the early paper wrappers as well as its provenance and historical connection to free blacks, it has broader appeal both as a bibliographical curiosity and to the African-Americana collectors. As such, I would place a fair value more likely in the $400 range. Monetary value aside it, it is a wonderful example of how by unfolding the story of a simple unnoticed paper jacket, history itself unfolds. Value of an Incunable – What’s the Real Biel? With a specialty in early printed books, we are often sent rare books to evaluate. One learns in life quickly enough (even as a toddler) to be suspicious of what we are told, and this carries through to the rare book trade – especially with regards to boxes, labels, and especially old bookseller descriptions. This fine folio was handsomely presented in a protective cloth box with a morocco label proudly announcing “Biel Collectorium 1495.” That would make the book an “incunable” – a book printed in the earliest days of printing before 1500. Any book that can rightfully be called an incunable has a certain cachet in the world of rare book collectors and often warrants a high price or premium just for being that old. Indeed, one rarely sees an incunable for less than a few thousand dollars except perhaps in a poor or incomplete state. It is difficult in this case to place blame for the incorrect identification on the previous owner. Sometimes, attempts are made to deceive or inflate value, but this misidentification might more rightly be based on a reliance old bibliographical records that had recorded this seemingly undated book as being printed in 1495. Even Worldcat.com still lists a copy still with the date. In fact, we can with a little research quickly discover that this book is referenced by the standard works on early printed books including Adams B1999; Hain-Copinger 3187; ISTC ib00653000. All of them state that the book was printed in Tübingen y Johann Otmar for Friedrich Meynberger, after 23 April 1501. Well, what is the difference between a book printed in 1501 and one printed in 1499? – a lot actually even if it is only buyer’s psychology. The paper is the same rag paper as they used only two years early and for all intents and purposes little changed in the printing world technologically in those two years to justify any difference in reverence or price. Nevertheless, this is a “post-incunable” and as such it just does not have the added prestige of being officially one of the first printed books that collectors covet. It is disappointingly not a “fifteener” as some old time booksellers used to say. Further hurting the value of this book is that it is only volumes three & four of a four volume set. 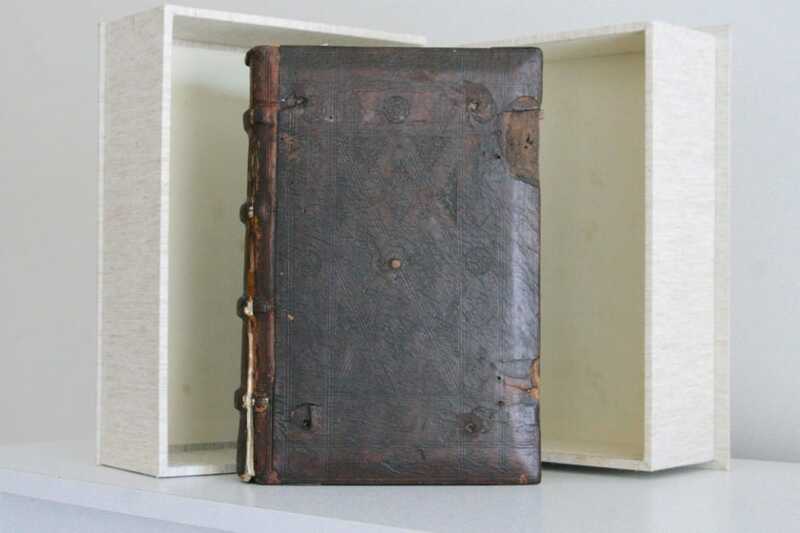 Thus despite its handsome and mostly original blind-stamped binding, its attractive printing and rubrication, and it being a work Gabriel Biel, one of the most distinguished theologians of the late Middle Ages, it nevertheless is worth less than $1000 at auction. As a New York City rare book dealer, I get a constant stream of calls from around Manhattan. It seems that the apartments here, while not overflowing, still are able to produce a constant flow of interesting and rare material. 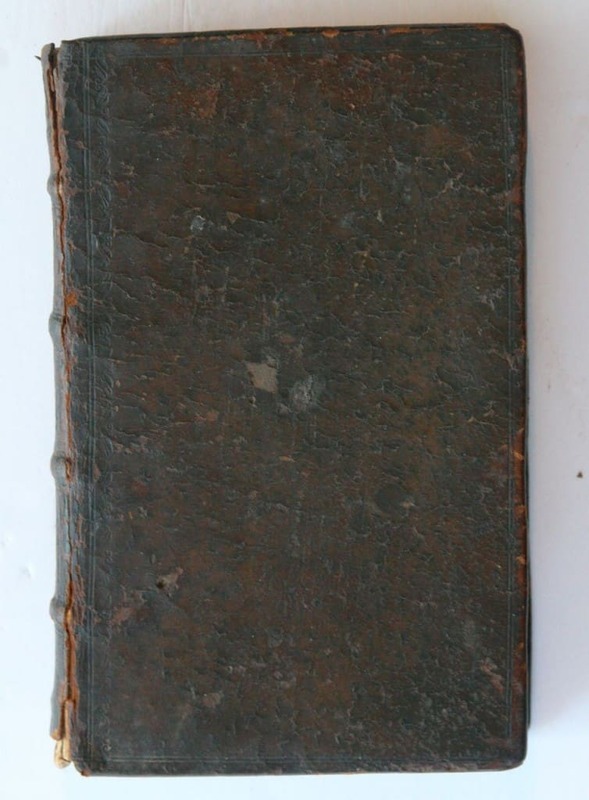 I just today purchased this interesting 17th century medical work from a local picker. Richard Morton. Pyretologia, seu, Exercitationes de morbis universalibus acutis Londoni : Impensis Samuelis Smith …, CIC DC XCII  8vo, 19.5 cm., , 430,  pages,  folded leaves of plates (present but loose) Binding: 17th century English calf, wear to head and foot of pine and starting of front joint; internal;t some toning, still a pleasing copy of a rare 17th century English medical work. Ref: Wing M2832; NOT in Garrison-Morton or Waller. So, how much is this old book worth? This is the type of work that I really enjoy buying – a scarce and attractive 17th century work that is not fully appreciated by the auction records. Indeed, while it is uncommon in commerce, in 2000 a copy at Swann Galleries barely made $230- a rather trifling sum for such an interesting work. 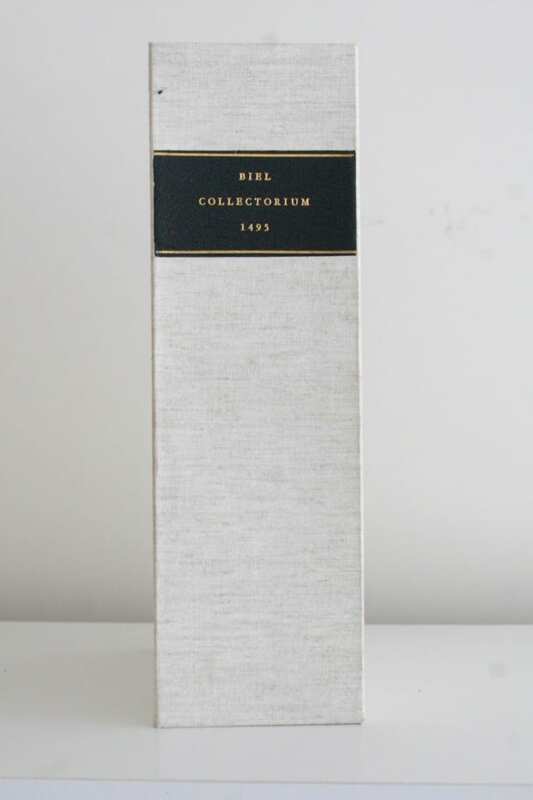 It is quite unfortunate, that with the transparency and widespread availability of auction records, a poor sales record for even a single copy can often set a unfair ceiling on what many collectors will pay- a sort of Scarlet A[uction record] that hangs on the neck of the book. Nevertheless, a modest profit on this type of work can be made when properly cataloged and offered to the right appreciative collector or Institutional library. Indeed, this is a fascinating work. 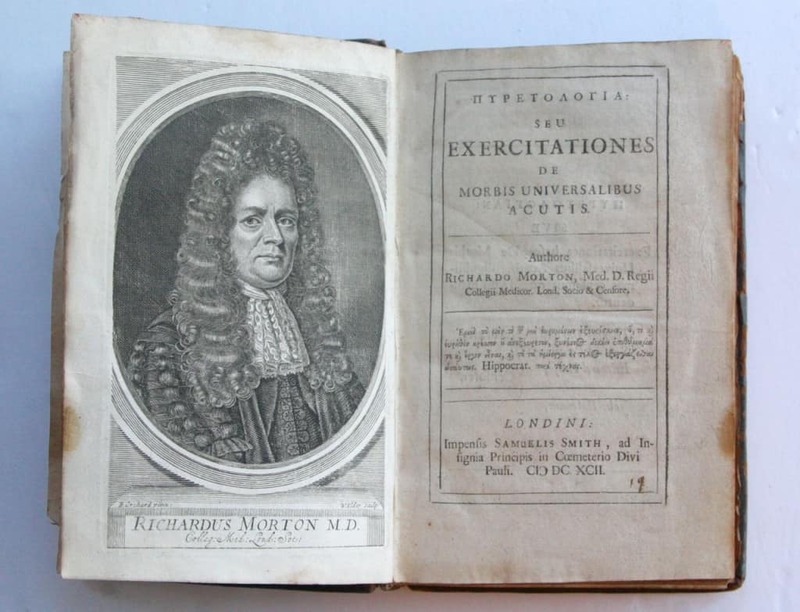 The author, Richard Morton (1637–1698), was an English physician “who was the first to state that tubercles were always present in the tuberculosis disease of the lungs.” according to the oft quoted Wikipedia. Digging deeper, however, into this modest book on fevers, Morton presents himself as a firm advocate of Peruvian bark as an antidote, proclaiming its “Herculean” properties to cure fever. While not understood at the time, the reason was that the compound quinine occurs naturally in the bark of Cinchona trees. Of even greater historical but related interest are Morton’s remarks on the sudden death of Oliver Cromwell, who died of an intermittent fever as his physicians (in Morton’s view) were too timid to make use of the bark. What would have happened had Cromwell not have died, passing his reigns to his ineffective son Richard who failed in his attempt to carry on his father’s role as leader of the Commonwealth. Only nine months later, the Monarchy was restored. Just imagine how a little bit of tree bark could have changed the course of human history!